First off, YAY first comic review (many more to come). Now starting off I thought I’d pick something great, also this was the first one in the pile. Now this Simpsons Issues focus’ on the story that many of the townspeople have had their heartbroken and after joining a Spingfield club for it, end up saving Otto from a freak bus accident. After that they find that they are all adrenaline junkies and that helps them cope with their broken hearts. Soon after that they are all preforming in various extreme stunts and are given the chance to be on TV and gain fame for having them all do one at the same time. 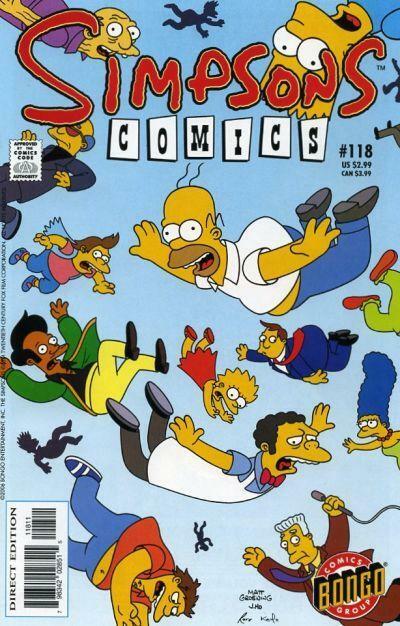 Now this issue follows the story nicely and has a good range of characters from the Simpsons world. Even though most of the comic is focusing on other characters outside of the Simpsons immediate family they always find a way to tie back into the family. Overall it’s a enjoyable read.